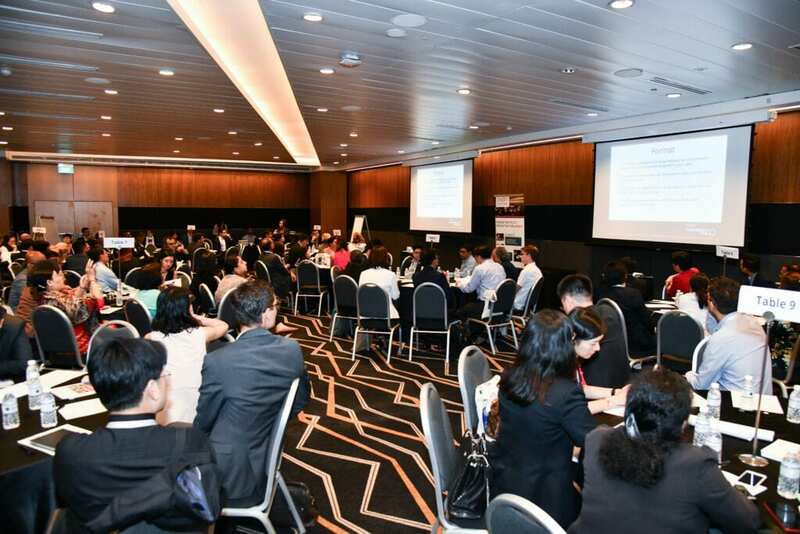 At the AVPN Conference 2018, around 200 policy practitioners and social investors attended the two Policy Showcases organized by the AVPN Asia Policy Forum (APF). The Policy Showcase is a new feature in this year’s conference, curated in response to feedback from AVPN’s policy community on the kinds of policy initiatives they wish to learn about. The Policy Showcases featured eight speakers across six countries in Asia, from government agencies to intermediaries and think-tanks. These speakers shared lessons learnt from diverse policy innovations and their experiences in developing the social economy in their respective countries. Speakers also had the opportunity to crowdsource ideas through discussions. Melissa Foo (Vice-President, Social Innovation, Agensi Inovasi Malaysia) sharing about Malaysia’s Social Outcome Fund during Policy Showcase 1. 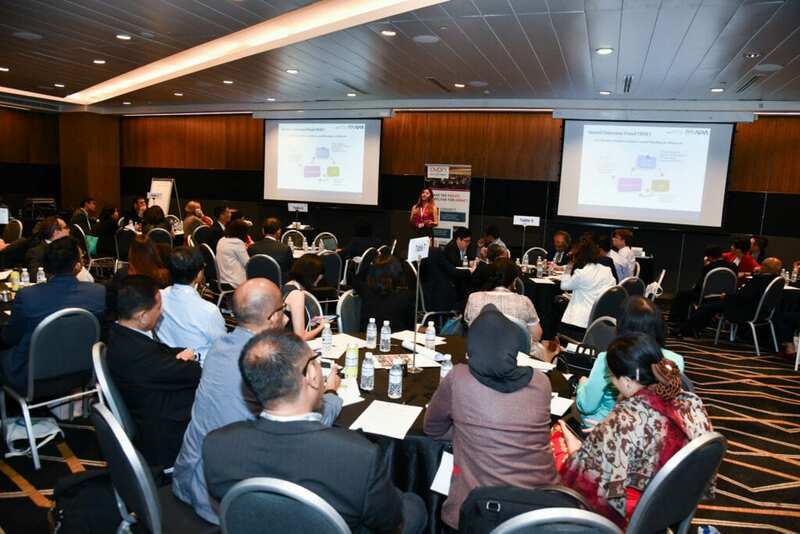 The policy showcases and workshops collectively signify AVPN’s strategy of integrating policy as a critical element in discussions of shaping social investment ecosystems in Asia, with the theme of “Policy Innovations to Maximise Impact”. 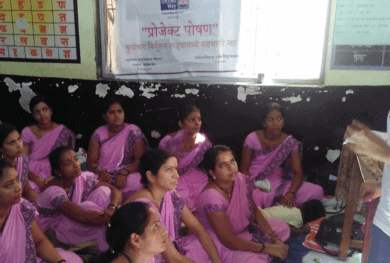 As such, these sessions were also integrated into the overall programming of the AVPN Conference for the first time, where policy sessions were held on a separate day in previous conferences. The most critical takeaway was the urgent need for government, funders and social purpose organizations (SPOs) to take collective ownership in aligning objectives . “Systems Thinking is critical as no one stakeholder can address issues alone,” highlights Rohan Sandhu, Associate Director, International Innovation Corps. Rohan shared about India’s Rajasthan State Government’s approach in driving strategic partnerships to improve education outcomes for 7.6 million students. Adopting common principles such as transparency and accountability during the policy-making process are needed to enhance participation and citizen trust. An example of such principles in action is Taiwan’s Open Government initiative, to promote social innovation which was shared by Ning Yeh, Counsellor, Executive Yuan. In the same spirit, participants shared operational concerns that policy leaders should not overlook, including the need to review current impact measurement methods, acquire a better understanding of new technological developments prior to implementing regulations; and ensure continuity of policy initiatives when leadership changes of agencies occur. 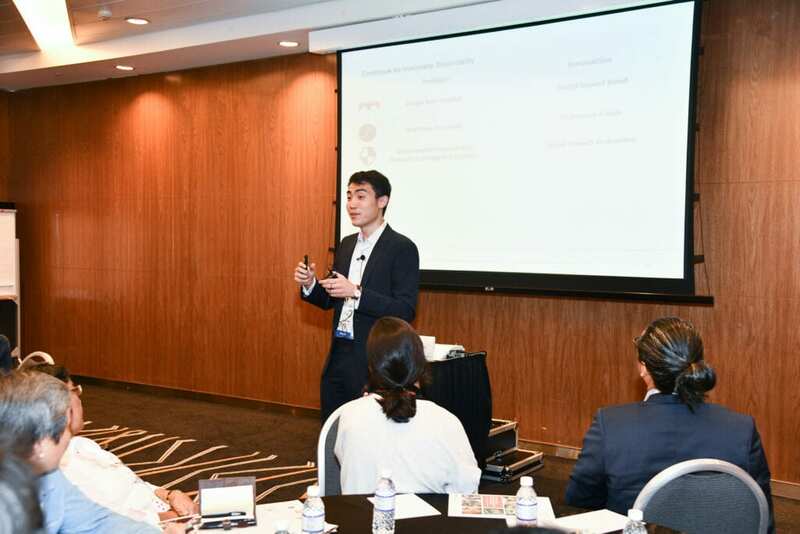 These perspectives became even more relevant when addressing cross sector policy implications from the presentations about Blockchain technology and Social Impact Bonds in Korea, Malaysia’s Social Outcome Fund and among the pan-region market updates during the OECD-organised policy workshop. As resources for maximising impact can range from financial, human to social capital,they in their usage and relative composition as policy initiatives are of different maturities and seek different impact objectives. The presentations and workshops showed that there are incredible opportunities for innovation when private sector resources can be utilised to support or amplify the impact of a policy objective – this could be seen in Korea’s initiative to leverage technology to make social impact bonds more tradable, and Japan’s exploration of social innovation in community care by the people sector that can be scaled to national levels with the help of private and public capital. Showcase provocateur, Belinda Chng, Director, Policy & Programs, Milken Institute suggested that government agencies may consider realigning their internal processes and objectives to strengthen their support for social investment initiatives, as social investors can complement the more conservative approach by policymakers in supporting new initiatives. “The government has the mandate to protect taxpayers’ interests by pursuing low-risk investments, where certain projects need involvement of other stakeholders to bear the risks”, she said. Perhaps, the success factors to bridging policy and funding capital together for social investment are simple yet hard to adopt as creating impact is a long-drawn process. The seemingly simple solution lies in adopting an open mind to embrace new ideas and approaches to tackle policy issues. Showcase provocateur Glen Mehn, Head of Development Innovation, Nesta argued that “Governments can opt to work with the private sector because they do not possess all the required knowledge to secure the successful outcomes of all social development projects.” Yet the capacity, capability and patience of all stakeholders may be challenged as complex challenges and changing policy environment bring many roadblocks. A policy champion whose mandate stands the test of time Is important, as seen in the Philippine Board of Investment’s multi-year journey in Inclusive Business accreditation. NITI-Aayog India’s work to engage multi sector partners in systemic transformation of the education system hinges critically on its own commitment and mobilisation of state policymakers for the long term. Both agencies show the importance of patience and openness in outreach, leveraging on Multisector platforms like AVPN, to find and maintain cross sector partners. Kevin Tan (Asia Lead, Third Sector Asia) leading the room in a discussion on how Pay-For-Success models can be adapted for Asian contexts. Taking reference from implementing policy innovations using Pay-For-Success Models, workshop speakers Aditi Banerjee, Advisor, Innovative Finance,British Asian Trust and Sieste Wouters, Director, Innovative Finance UBS Optimus Foundation highlighted that legal complexities arising from different legal structures, conflicting incentives amongst partners and the initial unease of being publicly accountable need to be addressed. Patience may be key in fostering successful collaborations – a critical shift away from short-term foci to long-term solutions. The Policy Showcase sessions at the AVPN Conference brought together a room full of policy practitioners and social investors to learn about policy innovations in the region. The speakers’ material from policy-related sessions at the 2018 AVPN Conference can be found here. Kindly note that this policy resource is password protected and only accessible to APF attendees. If you would like access, please contact policy@avpn.asia. In addition, the APF team has launched two resources in conjunction with the Conference: 1) a preliminary working Policy Pulse Map that maps out social economy policy developments in the region, and 2) a “Pay-for-Success Models in Asia Pacific: The Early Movers” case study report that delves into the implementation and development of various PFS models in different regional markets. For more policy-related material, visit the AVPN APF Resource Portal for a mix of in-house and curated third-party resources on information and insights useful for policy stakeholders of the social economy. Building on the themes touched upon at the AVPN Conference, AVPN will be organizing workshops and webinars in Jakarta, Kuala Lumpur, China and India to continue discussions on policy developments and social impact, with key attention to public-private partnerships, flows of impact capital, education, livelihoods and the creative economy. Stay tuned to our social media platforms for the latest updates on these respective convenings. Lastly, we invite all members of AVPN who are interested to host a social economy policy discussion, conduct a capacity-building event in your home country, or share a local social economy policy initiative as a case study, to contact our team at policy@avpn.asia. View here for all APF2018 Policy Showcase resources. Zelig Dhi Lee is an Associate at AVPN. He is currently a Masters of Public Administration Candidate at the Nanyang Technological University, Singapore. He was previously a Community Programmes and Corporate Services Manager at Central Singapore Community Development Council, where he curated several initiatives to foster collective social good targeting diverse age groups and social causes including Arts and Culture, Environment, Healthy Lifestyle and Special Needs. 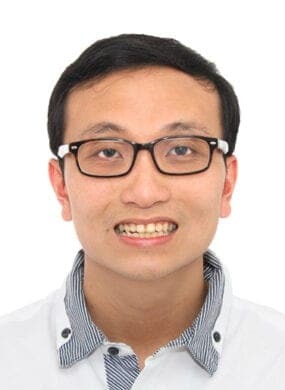 He holds a Bachelor’s degree in Social Sciences (Honours) in Geography at the National University of Singapore and was enrolled in the University Scholars Programme.